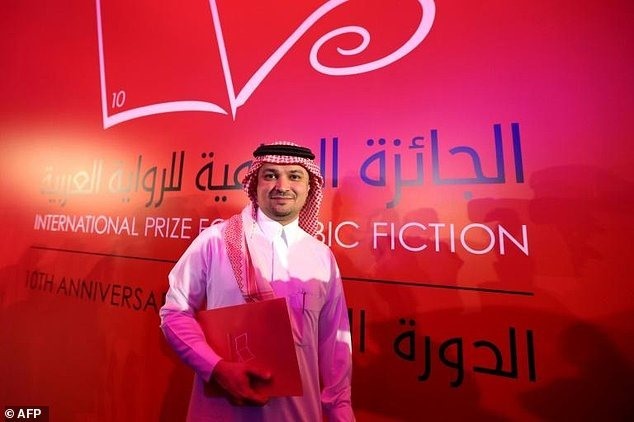 ABU DHABI — A Saudi novelist has won the International Prize for Arabic Fiction, becoming the third author in 10 years from the kingdom to grab the Arab world’s most prestigious literary award. Mohammed Hasan Alwan won for his novel A Small Death, which is a fictionalised account of the life of a Sufi scholar and philosopher, Muhyiddin Ibn Arabi, from his birth in Muslim Spain in the 12th century until his death in Damascus. The novel follows Ibn Arabi’s mystic Sufi experience and heroic travels from Andalusia to Azerbaijan, via Morocco, Egypt, the Hijaz in today’s western Saudi Arabia, Syria, Iraq and Turkey, according to an abstract posted on the prize website. "Of a sensitive and anxious nature, Muhyiddin struggles with inner turmoil throughout the course of his travels," the abstract said. Though "90 per cent of the novel is fiction", Alwan said after receiving the award "I felt the pain while writing it". "Ibn Arabi remains a controversial figure... but I believe that a reader of the novel would not disagree with the human side it portrays," he added. Alwan, 38, was for the second time among the shortlisted novelists after his novel "The Beaver" made it to the last six in 2015. Its French edition went on to win the best Arabic novel translated into French for that year. This year, Alwan competed with five other authors from Egypt, Iraq, Kuwait, Lebanon and Libya. Born in Riyadh, he graduated with a doctorate in international marketing from Carleton University in Canada, and has published five novels. Alwan was chosen in 2010 as one of the 39 best Arab authors under the age of 40 by the Beirut39 project. Dubbed as the "Arabic Booker", the US$50,000-prize is supported by the Booker Prize Foundation in London, but it is funded by the Abu Dhabi Tourism and Culture Authority. The two other Saudi novelists who previously won the prize were Abdo Khal in 2010 for his Throwing Sparks and Raja Alem, who shared the top prize in 2011 for her novel titled The Dove’s Necklace. "The culture and arts arena in Saudi Arabia has been rather active over the past 10 years," Alwan said, speaking of the ultra-conservative kingdom when public cinemas remain banned and women face tight restrictions, including a unique ban on driving. "The Saudi society is going through a phase of massive change. There is a young population facing various intellectual changes, which brings on many questions... When such questions are posed, novelists find their chance to repose them in a literary form," he added.